Working in partnership with Innovation for Agriculture (IfA) and Ernest Cook Trust, the Catchment Sensitive Farming (CSF) team have produced a series of practical videos to help farmers understand and improve soil heath. The series of eight short videos entitled ‘Learning from the Land’, showcase easy-to-set-up soil demonstrations that can be carried out by farmers and land managers in their own kitchens. The videos highlight the importance of soil health and include practical techniques to help improve the overall health of soils in the UK. “Our 25 Year Environment Plan sets out our ambition for all soils to be managed sustainably by 2030. Boosting soil health has multiple benefits including increased nutrient up-take, better crop production, reduced risk of soil erosion and run-off. This all leads to improvements to water quality and wildlife, as well as safeguarding the fertility of our soils for producing food. The quick, easy-to-follow videos feature experts Stephen Briggs, IfA’s Soil and Water Manager and Natural England’s Soils Biologist, Dr Matthew Shepherd. 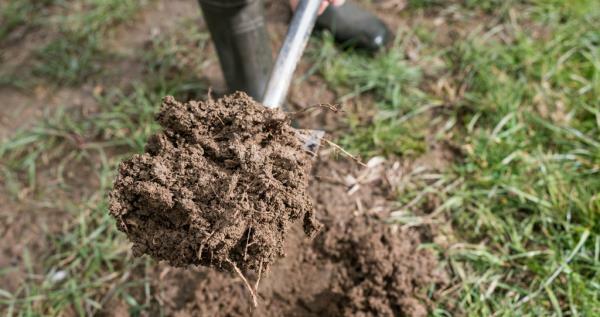 They also illustrate the aims of the recently formed ‘UK Agricultural Soil Initiative’ launched earlier this month at the ‘Cereals Show’ by showing demonstrations and case studies to improve our soils.